Debbie Macomber takes her reader back to Cedar Cove and the Rose Harbor Inn for the fifth novel in her current series. Mark Taylor, who returned to Iraq to rescue an Iraqi informant who became a close friend during Mark’s tours of duty with U. S. military intelligence, has been gone for nine months. Jo Marie Rose, the owner of the inn, has heard from him only twice. However much she loves Mark, she refuses to allow herself to repeat the anguish of vainly hoping for the man she loves to come home to her that she experienced with her late husband. She tells herself that Mark is dead and, although grieving, gets on with her life, including dating a widower whose kindness and humor she finds quite appealing. Meanwhile, Mark’s self-imposed task, which he described as a “suicide mission,” proves as difficult as he expected. He returns, barely alive, and Jo Marie and his love for her are key to his survival. But Mark cannot return to the life he left as a Cedar Cove handyman. He is heir to a family legacy of military service, and the Army still needs his skills. They have further plans for him, and Jo Marie refuses to live with the level of anxiety she would know as the wife of a man engaged in such work. The ordinary life the other man in her life offers seems more and more tempting. A secondary plot involves Emily Gaffney, a young teacher who was introduced in Silver Linings, the fourth Rose Harbor book. Emily, who has two broken engagements behind her, has declared a moratorium on men and romance. She has accepted a teaching position in Cedar Cove and plans to build a new life that includes a home of her own and eventually foster children or adoption. Jo Marie has agreed to let Emily remain a guest at the inn until Emily finds the perfect house. The search for that house leads Emily into an uneasy friendship with the reclusive Nick Schwartz, a man haunted by the death of his younger brother in an automobile accident that Nick survived. Nick is drawn to Emily and to Rose Harbor Inn for the peace and healing they promise, but he is deeply troubled. His recovery is a torturous process. Emily has a problem as well that further complicates their relationship. Can the famous healing properties of the inn offer hope to these wounded spirits? 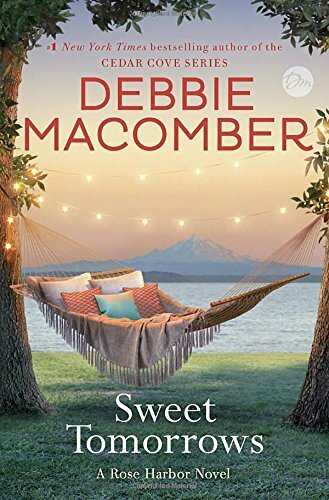 Macomber offers her usual blend of heartwarming sweetness and emotional punch in this conclusion to her Rose Harbor Inn series. The relationship between Jo Marie and Mark has slowly built through the series, and readers invested in these characters will find this novel particularly rewarding as the characters’ histories cast doubt on the HEA. At the same time, new readers will find that the author has provided sufficient details to allow this book to be read as a standalone, although they may find it a less nuanced read. I confess that I am not a fan of love triangles, particularly those that leave a nice guy with a broken heart. Consequently, the Mark/Jo Marie/Greg story line accounts for the four-star rating. Other readers may not find this a detraction. I did like the multiple first-person points of view which I thought added immediacy and power. Emily and Nick are sympathetic, engaging characters with real problems that are not simplistically resolved. The book also provides updates on former guests who have benefited from the mystical healing powers of the inn. Debbie Macomber can always be depended upon to give her readers stories filled with poignancy, hope, and sustaining love. She does so again in Sweet Tomorrows, an almost perfect end to a solid series. If you like your women’s fiction with a generous serving of “clean” romance or your romance sweetly real without descending to the saccharine, I think you will enjoy this book. I enjoyed the book, but the love triangle wasn't my favorite part. I'm glad there was a HEA in the end for Jo Marie and Mark. I loved the description of Nick's house, too. I will read it because I have loved the series from the start. Her books have always been enjoyable.